A group of South Africans have formed #OperationSA and its first task is to urgently raise money for humanitarian efforts in Syria. Among those behind the initiative, amongst others, are social activists’ Yusuf Abramjee, Yaseen Theba and Catherine Constantinides. Abramjee said “an urgent decision was taken at the weekend to make Aleppo and other parts of Syria the first project. We cannot sit back and see the suffering continue. Innocent men, women and children are being slaughtered and thousands are crying for help. “Many local and foreign charities are assisting but we all need to DO much more. There is an urgent need for food, medical supplies, blankets, mattresses and shelter. 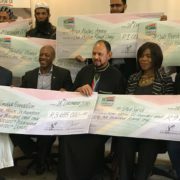 “We decided to co-ordinate the collection drive and #OperationSA will distribute the funds to credible charities who are working on the ground as a matter of urgency,” Abramjee said. ITV on DSTV channel 347 will host a pledge line/telethon on Tuesday evening from 7.30pm to 11.30pm. 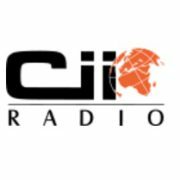 Several radio stations and media organizations will take the broadcast live: they include Souk Islam Channel (You Tube), Radio Al Ansaar, Radio Islam, Channel Islam InternationalVoice of the Cape, Sirius FM and Deen TV. #OperationSA is supported by various organizations throughout the country including Islamic Relief SA, The Al Imdaad Foundation, Jamiatul Ulama SA, Jamiatul Ulama KZN, Awqaf SA, Crescent Lifestyle, Africa Muslims Agency, Al Quds Foundation, Caring Women’s Forum and The Two Lights Foundation. Several other humanitarians and NGO’s are also on the working committee including community leader Andy Mashaile, Al Firnaz Patel from Crescent Lifestyle, Zaheera Bham Ismail from the Caring Womens Forum (CWF), attorney Yousha Tayob, banker Amman Muhammed and Raeesa Rhemtula. Deputy CEO of Awqaf SA Mikaeel Collier from Cape Town, businessman Ridwaan Kalla and attorney Raeesa Rhemtula from Polokwane are also on the Working Committee. “We are hoping to raise a few million rand,” #OperationSA added. 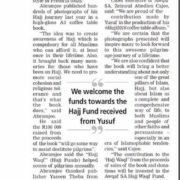 Beneficiaries will include, amongst others, the Al Imdaad Foundation, Islamic Relief SA, Africa Muslims Agency, Jamiatul Ulama SA and Jamiatul Ulama KZN. A number of smaller charities are also on the list. #OperationSA is a non-profit organization whose sole mission is to reduce human suffering. “We respond to natural disasters, humanitarian emergencies and poverty locally and abroad. We are non-sectarian and non-political. “Ubuntu is, at the same time, a deeply personal philosophy that calls on us to mirror our humanity for each other. “We encourage willing participation, warmth, openness, and personal dignity by partnering with communities, governments and corporate organizations. These relationships let us harness complementary expertise and networks to ensure that each community gets the best response available. “By engaging with partners, donors and communities, #OperationSA fosters skills such as transparency, accountability and open public debate — the cornerstones of effective civil society. And a strong civil society supports good governance, the critical force behind long-term development and stability. “We believe that dynamic partnerships are critical to solving challenges. Our partners – from corporations to foundations to entrepreneurs – are committed to developing and supporting socially responsible initiatives that build stronger communities in the developing world, while enhancing business and development goals. Abramjee and Theba were involved in #OperationHydrate earlier this year which saw millions of liters of water distributed to communities in need. 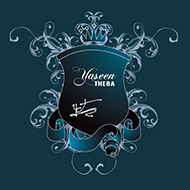 Theba said: “With the support across the board, we are going to make our mark again and assist those in need. 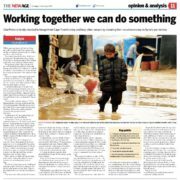 Let’s all work together and assist when and where we can. “Going forward, we also going to launch a programme to help individuals and charities in need across SA,” he added. On-line pledges are already being taken for the Syrian relief. Almost R250 000 was pledged within 24 hours. 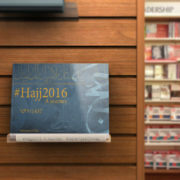 *Must mention Zakaat, Lillah etc. ALL DONATIONS MUST INCLUDE THE ABOVE REF NUMBER.